REGISTRATION IS OPEN for the 2019 Spotlight on Student Services! Ohio's no-cost, career planning system offers comprehensive, career development tools, online training and resources specifically for students, teachers and school counselors. OhioMeansJobs.com allows students to learn more about their career interests and in-demand jobs, build résumés, search for college and training programs, create a budget based on future expenses, and develop meaningful academic and career plans for high school and beyond. How do I access the new OhioMeansJobs K-12 site? Visit www.OhioMeansJobs.com and click on “OWEN,” the K-12 cardinal mascot wearing a graduation cap. Does my school have to sign up to use OhioMeansJobs K-12? No, the online tool is open and available to all schools at no cost. What should I do when I go to OhioMeansJobs.com? -Set up a personalized Backpack; an individual account for saving test results, creating a career plan, and more. - Fill out the Career Cluster Inventory; an interest survey for students in middle grades. -Complete a Career Profile; an interest survey for high school students. -Conduct an Occupation Search; use filters for accessing information about career and education options. - Explore Budgeting for My Career; an activity to learn about the cost of living on your own. - Visit the Assessment and Training Center; a collection of practice tests and resources for ACT, GED, COMPASS, and more. How do I get started? Take the Guided Tour to complete recommended activities or navigate the “Explore It” menu to find tools and information for planning your future. 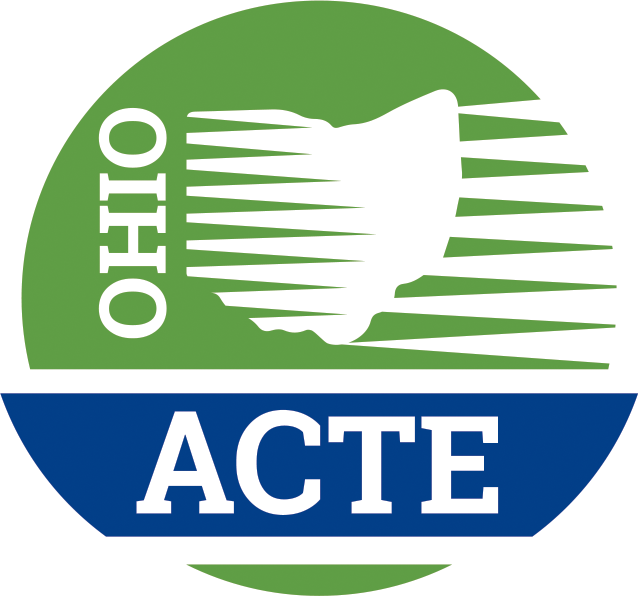 The Student Services Division of the Ohio Association for Career and Technical Education (Ohio ACTE) represents members who are professionally engaged in and/or interested in school guidance, career development, and student services. Provide leadership and advocacy for all Student Service Professionals. Collaborate with other professional education groups to maintain and advance a strong voice for career development, school counseling and guidance programming. Disseminate career and technical education (CTE) information to school counselor, guidance, career development, and student service personnel and to facilitate the sharing of school counselor, guidance, career development, and student services information to CTE professionals. Provide exciting and engaging, school counselor, guidance, career development, and student service sessions at the annual Ohio ACTE convention, “Spotlight on Student Services” annual conference, and other venues. Provide annual professional recognition of school counselor, guidance, career development, and student service professionals and programs. Selective Service Registration: www.sss.gov Males ages 18-25 who live in the US must register. (http://www.collegeboard.com/apps/careers/index) Browse specific jobs and learn about working conditions, job forecasts, related professions, and what you can be doing right now to reach your goals. From the National Association of Colleges and employers. Contains on-line career fair, resume and interview articles, and information on career development, internships or job market research.